To meet the needs of modern travelers and revolutionize the guest experience, San Francisco International Airport (SFO) is redeveloping Terminal 1, one of its oldest terminals. Terminal 1 was built in the early 1960s; over time, it has become less able to accommodate the millions of passengers it welcomes each year. The core of the project is the construction of a new boarding area totaling more than 500,000 square feet. Boarding Area B will feature 25 new gates, including 7 “swing gates” that give international arrivals direct access to the US Customs and Border Protection Federal Inspection Area. 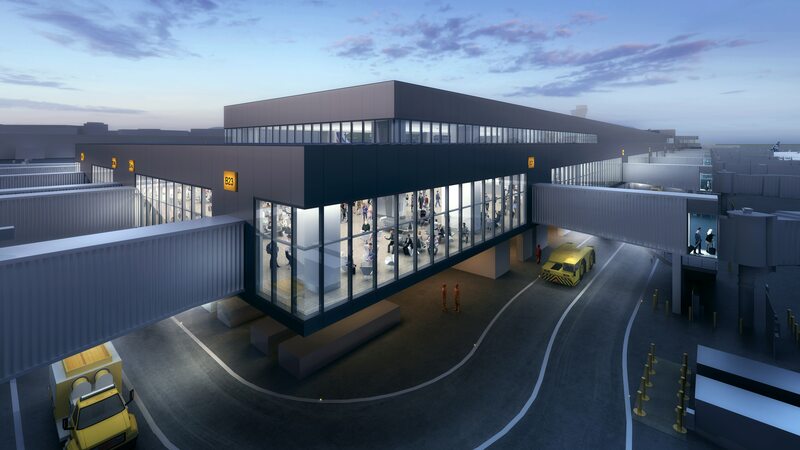 The terminal will also have a new centralized security checkpoint, a state-of-the-art consolidated baggage-handling system, dining and retail concessions, and post-security connecting walkways. The airport also wanted to raise the bar with a world-class, environmentally friendly project expected to earn LEED Gold certification. Accomplishing this will require tearing down the building and renovating it from scratch. When fully completed in 2022, Terminal 1 is expected to meet or exceed award-winning environmental standards. This will be a six-year, $2.4 billion redesign project—the largest ever undertaken by the airport. And the goal is to rebuild the entire terminal without ever closing it. The design joint venture consists of international firms HKS Architects and Woods Bagot, plus local partners ED2 International and Kendall Young Associates, which combined their talents to design and deliver the 25-gate Boarding Area B project. TSAO Design Group served as a primary design subconsultant. Austin Webcor JV, a joint venture of Austin Commercial and Webcor Builders, is responsible for the project’s design management and construction. With the project owned by the airport and the City and County of San Francisco, key opportunities for the team included integrating a vast body of stakeholder expectations, from wayfinding requirements to Arts Commission needs—all while implementing technical and operation requirements and operational phasing, as well as designing a high-level guest experience, for which SFO is known. 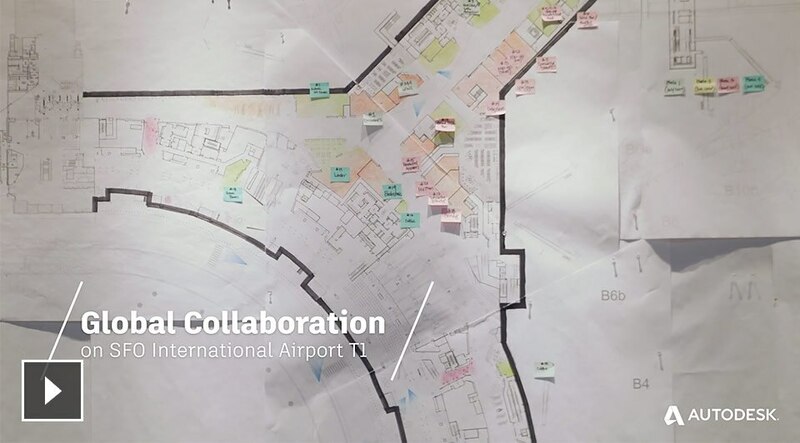 To develop a collaborative vision for the project, the design team and airport representatives got together in a visioning workshop. Bringing together input from the stakeholders, the team found that its members shared a common vision: They wanted the terminal to have a uniquely San Franciscan feel that captured the romance of travel. With collaboration the key to success, the project kicked off with construction of the “big room,” a 33,000-square-foot structure on the outskirts of the airport. 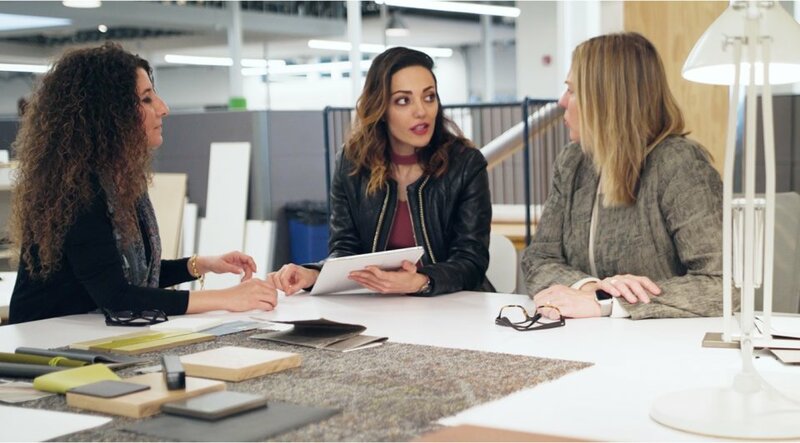 It housed more than 200 designers, engineers, and contractors who would collaborate on and coordinate every step of the project. A 1960s-era hangar is converted into the “big room” at SFO. Courtesy of Woods Bagot and HKS. Coordinating a multifirm, multiple-stakeholder, public-private partnership on a design-build project for a busy international airport—all while keeping the airport’s daily operations running—was no simple task. Teams collaborating on the Terminal 1 project. Courtesy of Woods Bagot and HKS. Rendering of SFO Terminal 1, end of pier. Courtesy of Woods Bagot & HKS Inc.
To handle the complexity of the project, the team chose the latest design-technology tools, including BIM 360 Design (formerly Collaboration for Revit) to coordinate globally and across teams, consultants, contractors, and stakeholders. This allowed all of the joint venture teams to keep their own globally distributed studios in sync. 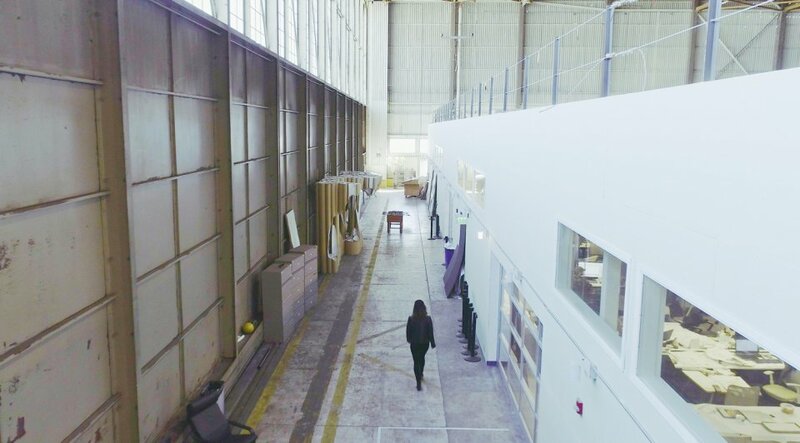 BIM 360 streamlined the process from design to delivery, letting studios, contractors, and stakeholders collaborate through one common cloud-based model. Learn more about what BIM 360 Design can do for your company or download a free trial today.